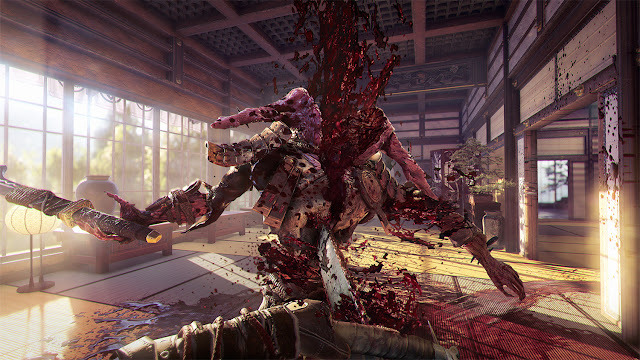 The cleverly-titled Shadow Warrior 2 is the sequel to 2013's Shadow Warrior - which itself is a reboot of the legendary 1997 original by relic studio, 3D Realms. 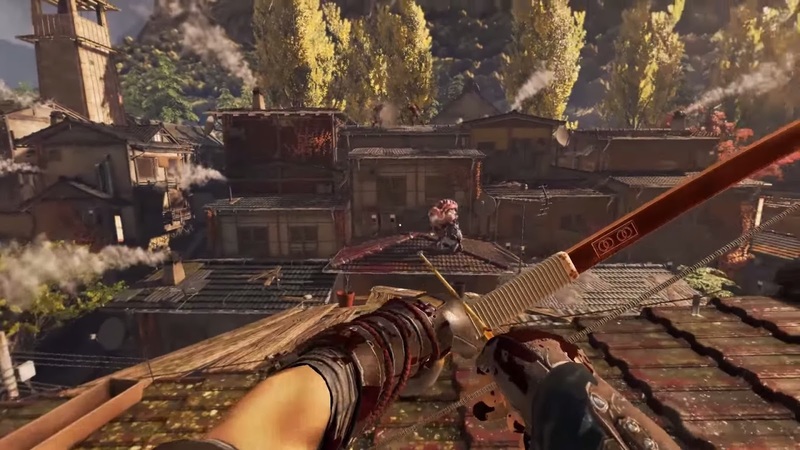 As part of the three major titles released using the now-defunct Build engine (the other two being Duke Nukem 3D and Blood, which parody action movies and horror flicks, respectively), Shadow Warrior was - and is - an absurd and surreal pastiche of an generic Asian culture, made by people who clearly had a very juvenile understanding of Asia, let alone any cultures within it. Often acknowledged as the least known from the trio, the original Shadow Warrior is nonetheless a blast to play. And seeing how so many popular first-person shooters from the 90's are getting remastered for the modern audience (to varying degrees of success), Shadow Warrior's resurrection was imminent. Suffice to say, the 2013 reboot did not disappoint... and nor does the sequel. 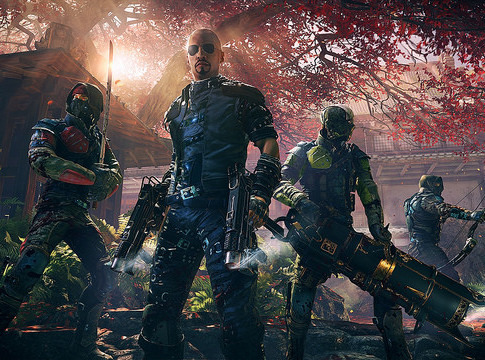 Related reading: Matt reviews the PlayStation 4 port of the 2013 reboot of Shadow Warrior. Imagine an absolute psycho let loose in a picturesque, gorgeous Narnia world. Now stop imagining because that game's Shadow Warrior 2. You are a katana-wielding assassin whose murder trails and bloody screw-ups often lead to resplendent areas that seem as though belong to Dear Esther or any title by The Chinese Room. It's not inaccurate to say that as far as modern first-person shooters go, this game has some of the prettiest visuals the genre has to offer - even if some textures in a few areas feel a little outdated. The character and weapon models look pretty good, too, with some rather amazing details and well done animations that, in all honesty, could be a whole lot better. The weapons themselves are diverse and eccentric as you'd expect from a game such as this, from the ever-popular shotgun, to dual katanas that project killer sonars (yes, you read that right), to a mighty chainsaw and on to a rather attractive steampunk gauss weapon. Not all weapons are impactful during combat, however, and the stylish-but-useless Deck-Ard is solid proof. Named after the protagonist of Blade Runner, this is easily the most disappointing weapon as it dishes out practically no damage at all, even after numerous upgrades. Katanas are only practical for short skirmishes with smaller enemies, or when you want to preserve ammo (which can be difficult to get if you don't smartly use your upgrades), but they eventually wear out their welcome when you gain possession of better, much more powerful melee weapons, such as the incredibly powerful chainsaw (called here Warrrsaw). The chainsaw settled many difficult decisions about what weapons to use, easily capable of mowing down through large bosses as it is small swarms of fast-moving enemies. However, because it sort of goes into lock-down mode when you target an enemy, you are left vulnerable to attack from all sides - hence, I often found myself alternating between the chainsaw and arguably my all-time favorite weapon from the game, The Devolver Anaconda. Don't get fooled by the name: it's basically a six-shooter revolver that does incredible amounts of damage even without upgrades. Most of the rest of the weapons proved to be either boring or just disappointing in terms of damage, though the addition of the machine-gun much later on will genuinely make you smile. Besides the weapons, you have in your disposal the power of Chi and an assortment of other magical properties. These serve as special attributes to your character and assist in the fire- and damage power of your weapons. I honestly don't know much about these things as I hardly utilized them to their potential - only applying a select few that made sense to me, such as steady health regeneration and increased ammo clip size. However, the customising aspect is rich and greatly detailed as far as I could make out. Humour is perhaps Shadow Warrior's most notable (and infamous) aspect. To say this game doesn't take itself seriously is a gross understatement - it doesn't seem to grasp any concept beyond the puerile and the crass. And what else did you expect, seriously, when the main character himself is called Lo Wang. Thankfully, the jokes never go deep on the toiler humour, and "wang" jokes are kept obscured and esoteric at best. Though the writing of the game isn't exactly top-notch, the conversations Lo Wang has with some of the other characters will have your sides splitting in no time. Mid-battle quips and exclamation shouts get repetitive the more you progress, but since most of the lines are genuinely funny you'll be chuckling and slapping your forehead through the very end. Shadow Warrior 2 is a graphically demanding game. Running on my moderately-powered PC, the game ran okay on medium settings. Perhaps most significantly, on these settings the FPS would sometimes drop to around 45. I agree this is not ideal, but I didn't let it hamper the experience too much. If anything, I used it to my advantage as it meant the more quicker moving enemies such as Yakuza henchmen were slowed down just enough for me to follow them with the whirring end of my chainsaw. The game only severely lagged (and sometimes completely froze up for 30 seconds at a time) in the presence of a recurring enemy called Toro. I'm not sure what it is exactly about this enemy, but whenever Toro appeared onscreen the FPS became choppy to unplayable levels. 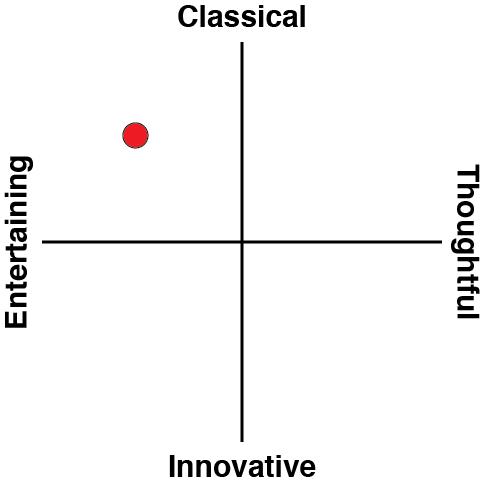 And the worst part is Toro is a recurring enemy, so this was a persistent and frustrating issue. 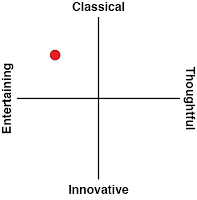 This is not to say the game functioned properly in front of other enemies - far from it - but none seemed to affect the performance as devastatingly as Toro. If you've got a PC that can handle it, Shadow Warrior 2 is a fantastic bloody game. If you love yourself a good, over-the-top action video game that brings to mind the ridiculous (but enjoyable) action flicks of the 70's and 80's, then the Shadow Warrior franchise is not to be missed.